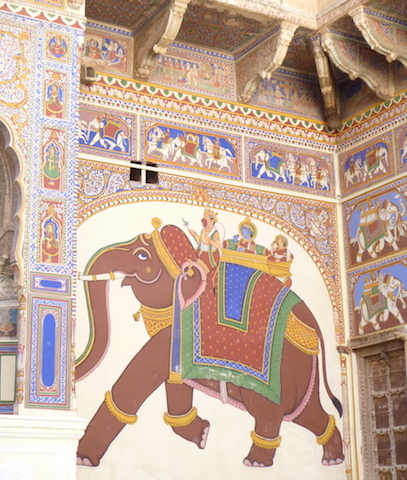 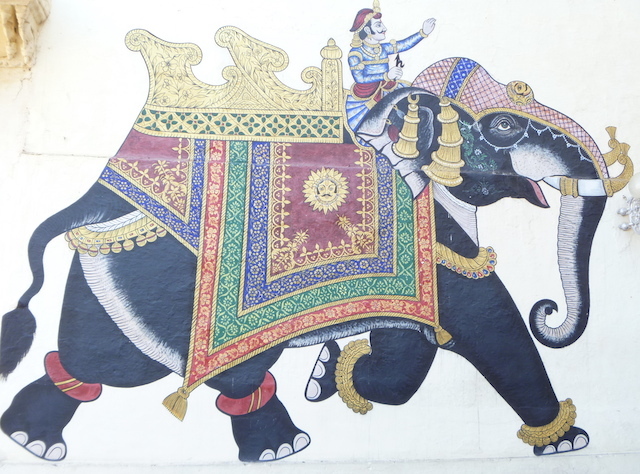 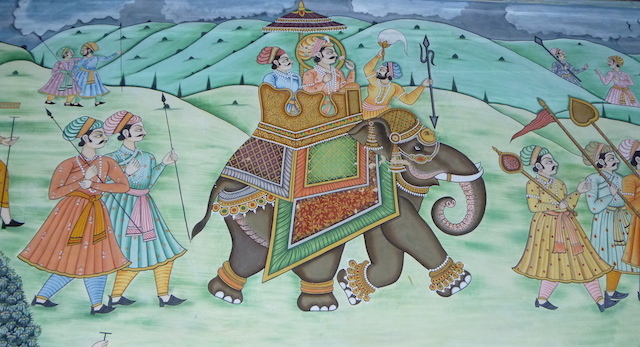 Rajasthan … not more paintings of elephants! 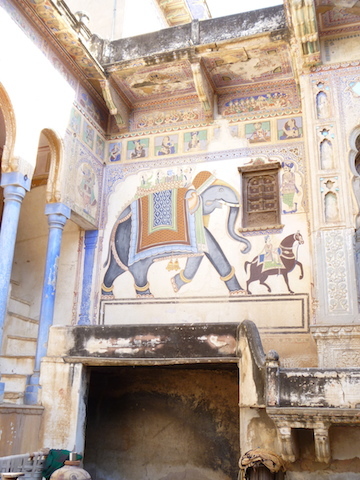 I confess that I got rather obsessed in Rajasthan with photographing literally anything to do with elephants and the elephant headed god Ganesha. 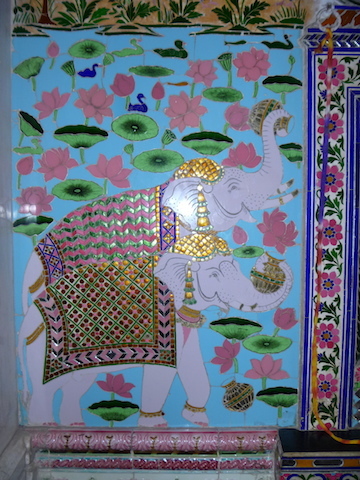 The elephant is a huge part of Indian culture, important both in religion but also admired for their wisdom (memory) and strength. 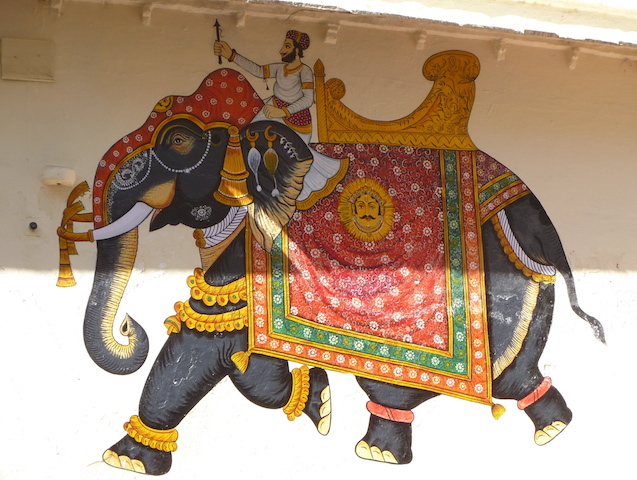 In a previous blog posting, I show some photos of the paintings outsides of homes. 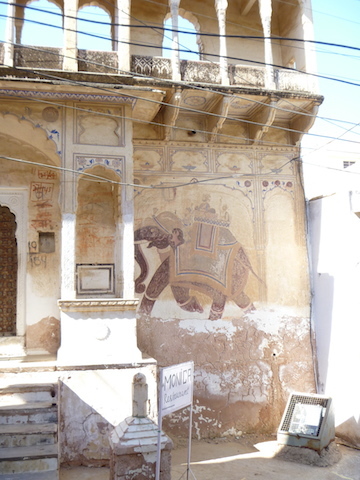 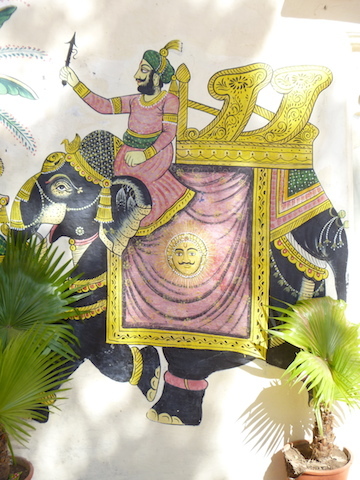 Whereas this blog post is pictures from the various haveli painted mansions, palaces and forts we visited.